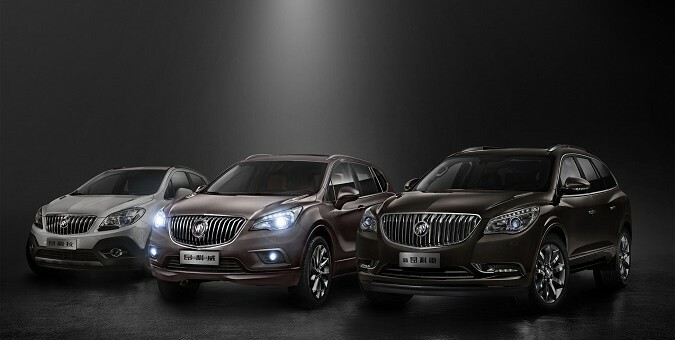 The Buick Envision concept debuted in China at the 2014 Chengdu Auto Show in August 2014, but GM has yet to confirm the compact crossover’s arrival to America. Now, Edmunds says that the CUV should hit American shores during the third quarter of 2015. The five-passenger Envision slots between the Buick Encore and Buick Enclave. When it launches in the U.S., it is likely that the Envision will be sold with mild hybrid technology, wherein the engine would shut down when the car is coasting, braking or stopped, then restart when the accelerator is depressed. The Envision is expected to be available as both front- and all-wheel-drive, both likely powered by Buick’s Turbo 2.0L Ecotec I4. If that is also the platform for the next Nox and Terrain, I will be happy. Good, I’m glad to see that this will be in the US too. Does the engine turning off really make it a hybrid? I mean in terms of a hybrid vehicle it would utilize two (or more) forms of energy/power source. The whole coasting bit isn’t new, although shutting off entirely I’ve never had in a car before. But while coasting (throttle closed) above 35km/hr my old car (CTS) would shut off fuel delivery to the engine, mechanical drag would increase to keep the engine revolving but zero fuel consumption was a win, and it would near seamlessly fire back up with throttle was touched. In my 3.6 CTS I was hitting 33mpg hwy and 24mpg city if I was trying. Some people had it reprogrammed to work all the way down to 20km/hr to further improve city driving/coasting. A bet it’s a plug in hybrid. There was little doubt that this was coming. The real question is how will this and the Terrain be paired at the dealer not to step on each others in sales. Are we going to see the Terrain be more of the size of the SRX? This would give the Chevy and Buick the short wheel base markets in cheaper and more expensive whole the LWB would be paired on the SRX and Terrain and give them a cheaper and more expensive model on it. Nothing wrong with a Buick and GMC stepping on each others’ toes size wise, given that both will be styled very differently and appeal to different demos. Example: Acadia and Enclave.